Melodic Revolution Records, Unified Past and RoSfest News! Melodic Revolution Records is thrilled to return to RoSfest as a vendor for our 6th year… as we celebrate our 10th year anniversary. We will be located in the upstairs lobby of the theater throughout the 3 day festival beginning on May 5th. We will be selling all of our current and new releases including releases by Murky Red, NeverWake, Darrel Treece-Birch, Marco Ragni, Leon Alverado, Nth Ascension, Sunshine & Bullets and DDrive to name a few, we will also be selling classic release by The Minstrels Ghost. Time Horizon, Kinetict Element, Anuryzm, Gekko Projket among others. We are thrilled beyond belief to have MRR Recording Artist Unified Past confirmed to perform on day 2 of the festival. Please stop by the booth and get all your favorite UNIFIED PAST releases. As usual we will have some very special announcements and surprises to make during the festival. 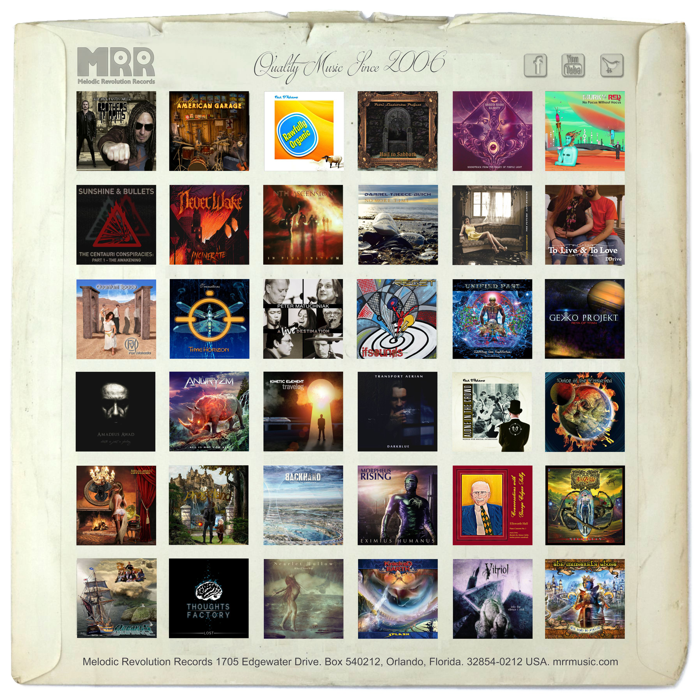 We will also have some cool MRR various artists CDs featuring tracks from our newest releases and Download Cards featuring unreleased up and coming and some best of MRR Releases as well as band Swag, so stop by the MRR vendor table located on the 2nd level of the Historic The Majestic Theater @ 25 Carlisle Street. Gettysburg, PA 17325. There will also be many other cool music vendors, so make sure you drop on by during this amazing event. We will be open between the live performances all weekend.